Morenillo won’t pop to the top of anyone’s list of go-to grape varieties. After all, it isn’t in the Wine Grapes book and so for most people, it probably doesn’t even exist. That’s plenty fair however as the only region known to cultivate and produce wines from this grape is DO Terra Alta in Southern Catalunya and even there, it’s found in just a few scant hectares for the time being. When assembling the DO Terra Alta report, I ended up tasting several wines made either fully or partially from this grape, despite the fact that it hasn’t actually been permitted for use in wines until the start of 2019. It wasn’t for lack of trying that it’s not in the DO’s official grapes listing as they’d been pushing to have it included for over a decade only to have the Spanish authorities finally relent at the end of last year in a similar fashion as to how the did with Carinyena/Carignan now being permitted on labels. It may well be the case that once extensive DNA testing is done with more far-flung regions, it will come back that Morenillo is actually the same as an already-known grape but for the viticulturists in Terra Alta, they claim it very much as their own. It’s been grown in the region forever and there are several 100+ year-old vineyards with the grape still in existence with undoubtedly more to “be discovered” now that there’s full permission to plant and make use of as much as they’d like. The main reason it fell out of favor was due to the very different priorities of winemaking in the past where people were paid based upon alcohol content, color, and general productivity; all of which Morenillo is lacking in which isn’t a bad thing. Nowadays, I don’t think people care much about color (I don’t even included it in tasting notes.) Less alcohol is more in fashion not just because of Climate Change issues but due to people wanting plenty of flavor without all the booze. This is part of the reason there’s been the push to get the grape back into circulation. There’s also the desire to have a red grape to make their signature much as they’ve done with White Grenache–of which they hod a third of all the plantings in the world. While they have plenty of red Grenache, the issue is that it’s planted to some 200,000ha throughout Europe so it’s hardly unique to Terra Alta. Morenillo is a game changer on that front, until of course proven otherwise. One may ask as to how commercial wines were made from a non-permitted grape? The fact is, all of these vineyards with Morenillo are probably called “Grenache” officially and these wines registered as such. There is something of a permissive aspect on this front as there exists the need to experiment with grapes over time and so small quantities are allowed to be produced. As to what “small” actually consists of, I’ve never gotten a straight answer but it seems to be 1,000 liters or less. 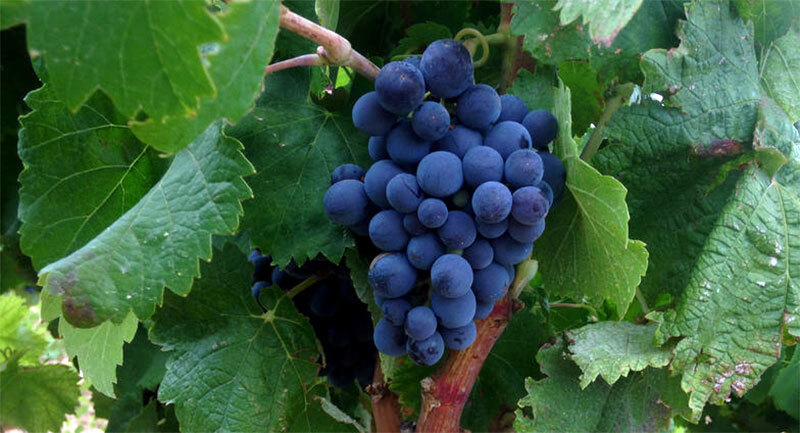 One day, if a grape is finally allowed, they reclassify all the vineyards so it could emerge that a good chunk of “Grenache” or something else is suddenly discovered to be Morenillo in Terra Alta. We’ll have a proper indication of this once harvest totals come in at the end of 2019. Light wild strawberry, crisp mint, minor pepper notes. Good structure and balanced acidity that gives a fresh, long profile with plenty of character. Light red cherry, underlying forest berries, raspberry, very light, delicate fruit profile overall, creamy vanilla notes, buttery, fresh, crisp herbs, mineral notes. While red fruit dominant on the palate, there’s an underlying blue fruit aspect, very fresh and lively, good palate with medium plus acidity and finish.